Welcome to August 2018. There are 2 exciting promotions for you this month, so grab your favourite beverage and be prepared for a long read to learn all about them. Firstly, I am introducing the Colour Your Season Products. These are limited edition products which are only available during the month of August 2018. 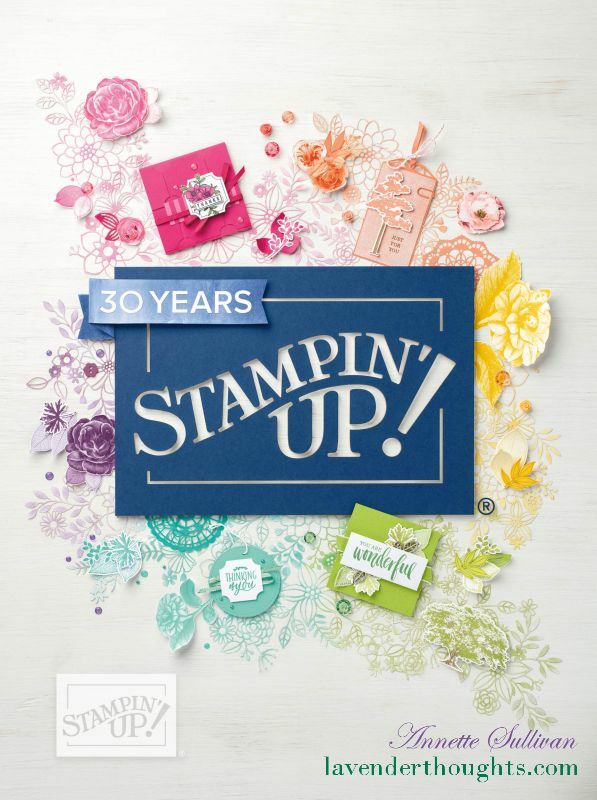 Look at all the gorgeous images and sentiments in the stamp set. … and if that is not enough, check out these Framelits – such a variety — and look at the double stitched frames! This first card was created by one of my team, Helen and showcases how the stitched frames work on the negative die cut. Here, it highlights the window of pretty watercoloured flowers for a Christmas card. Die cut the double stitched frame in the middle of the front of a Merry Merlot card base. Keep the positive die cut for another project. Stamp the floral image tone on tone on the card front. Stamp the floral image on Whisper White with Memento Tuxedo Black ink and watercolour with the new assortment of Watercolor Pencils. Attach to the inside of the card. Die cut some leaves with Shaded Spruce cardstock. Stamp a sentiment on Whisper White and notch the ends. Attach the leaves behind the sentiment panel, then attach the sentiment panel across the middle of the card front. I will be showcasing these products every day for the next two weeks so that you can see the versatility they offer. Visit my online shop to get yours whilst they are still available. The second promotion is Bonus Days. For every $90 you spend during the month of August, you will receive a coupon to spend $9 during the month of September. How great is that, especially as the Holiday / Christmas Catalogue goes live on 5 September. What better way to add more to your Christmas shopping list! There is no limit to the number of coupon codes you can use on an order during redemption. Bonus Days coupon codes may be redeemed for any product (excluding Starter Kits and demonstrator supply items).